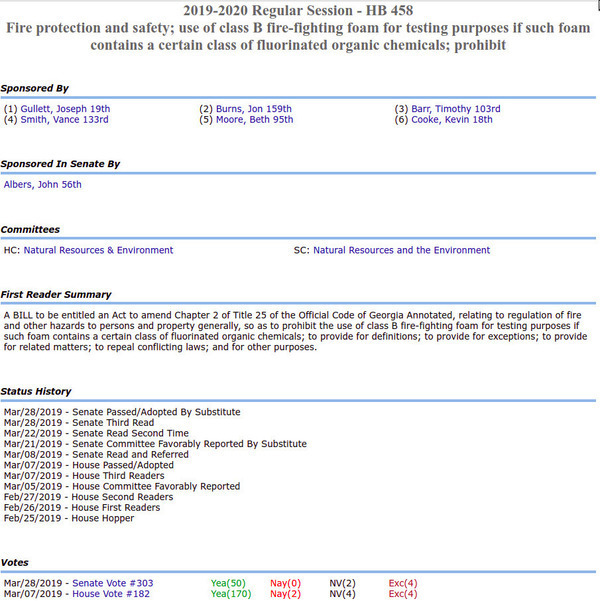 Both houses of the Georgia General Assembly have passed a bill to regulate PFAS fluorinated firefighting chemicals, such as spilled at Moody Air Force Base and the other two Georgia AF bases. If the governor signs it, this bill will become law. This entry was posted in Law, PFAS, Politics, Quality and tagged a certain class of fluorinated organic chemicals, Air Force, class B, conservation, fire-fighting foam, hazards, Law, Military, Moody AFB, north Florida, Perfluoroalkyl, PFAS, Politics, Polyfluoroalkyl, quality, regulation, river, south Georgia, Suwannee Riverkeeper, testing, watershed, WWALS, WWALS Watershed Coalition on April 2, 2019 by jsq. Yesterday’s EPA PFAS plan does nothing except to study for a year or more what has already been studied. 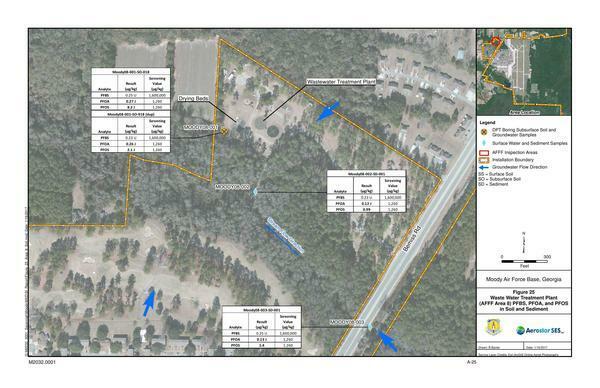 Where are the limits on amounts of these firefighting chemicals in water that would enable EPA or GA-EPD to test private wells, for example for the PFAS that got into groundwater from Moody Air Force Base’s Wastewater Treatment Plant, causing Moody’s report to say be careful eating fish caught in Beatty Branch or Cat Creek, upstream from the Withlacoochee River? 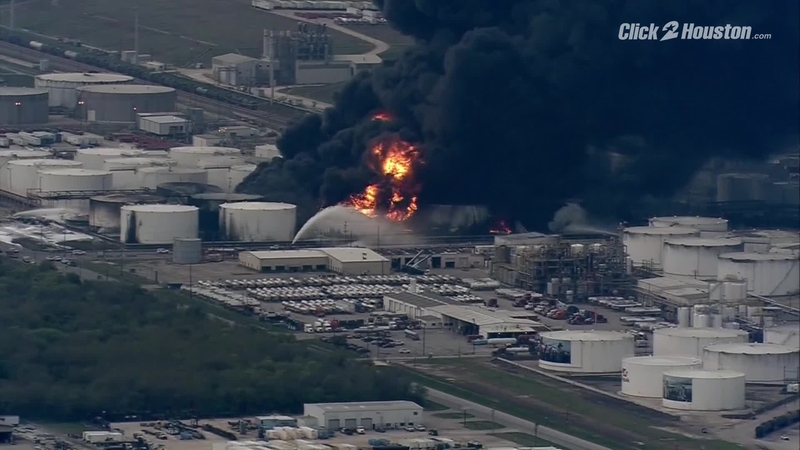 Where are the funds and methods to remediate the problem and to stop it getting worse? This entry was posted in creeks, EPA, Quality, River, Testing and tagged Action Plan, Beatty Branch, Buxmont Coalition for Safer Water, Cat Creek, conservation, creeks, Delaware Riverkeeper Network, EPA, Health, limits, Mark Cuker, Moody AFB, New Jersey, north Florida, Pennsylvania, Perfluoroalkyl, PFAS, PFOS, Polyfluoroalkyl, quality, regulation, remediate, river, south Georgia, Suwannee Riverkeeper, test, testing, watershed, wells, Withlacoochee River, WWALS, WWALS Watershed Coalition on February 15, 2019 by jsq.